Since 1998,Tina Lascha has provided professional voice over talent for radio & TV commercials, narration, on hold phone systems and more. 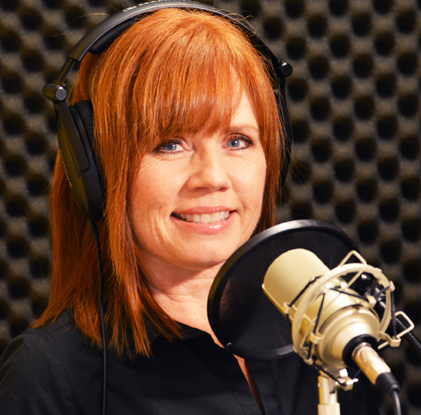 Tina has a home studio, giving her the ability to quickly record your script and make revisions easily and smoothly. Call Tina at 321-693-1683 or E-Mail: tinalascha@cfl.rr.com. Testimonial: “I have worked with Tina over the last five years on numerous presentations and productions, both on camera and off camera. She is very professional and has a terrific voice for almost any situation. I highly recommend her.” Recommendation by Rosmary Messina, VP of Marketing at ICI Homes.